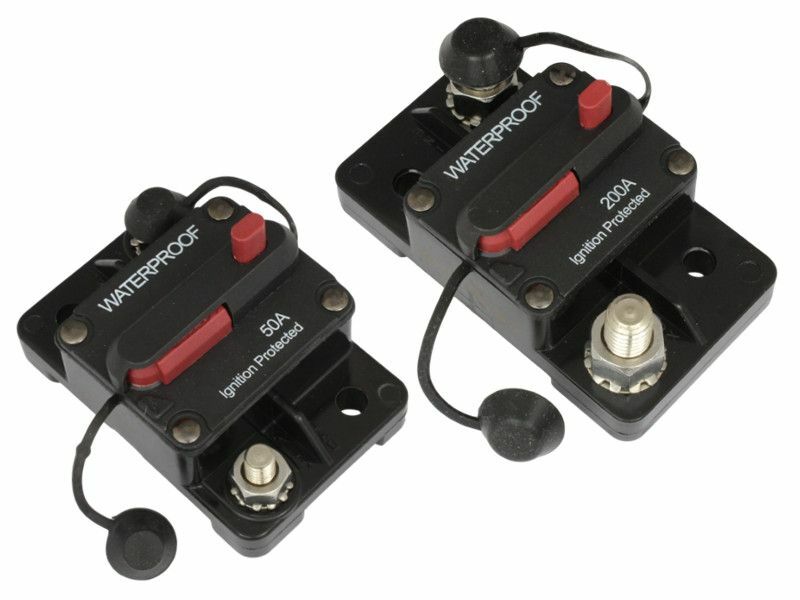 These rugged thermal circuit breakers are designed for the protection and isolation of high current circuits up to 200A. 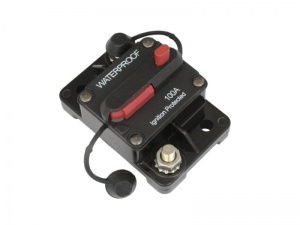 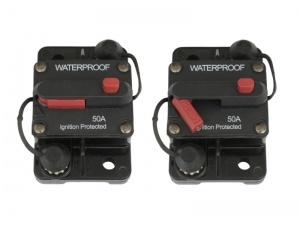 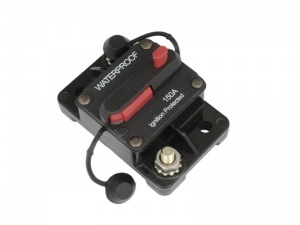 They are fully waterproof to IP67 and ignition protected for safe marine use. 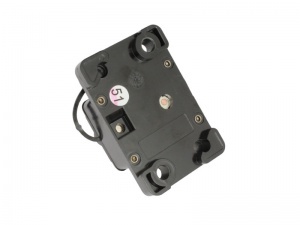 The manual trip can be used to switch off and isolate the circuit if required, is easily re-settable and provides an easy-to-see indication that the breaker has tripped. 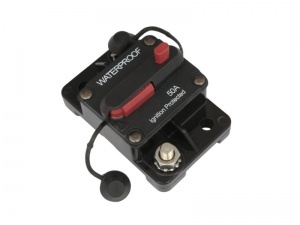 Well suited for use in engine compartments and bilge areas for protection of high current accessory and auxiliary circuits (examples include high current audio and battery charging applications). 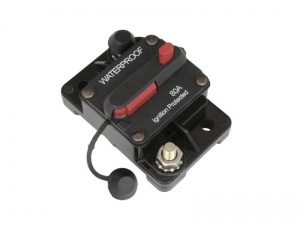 The terminal studs are stainless steel and feature locking washers and rubber insulation covers. 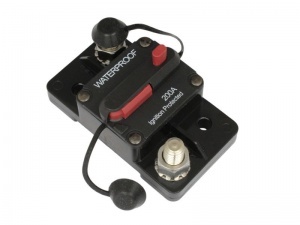 Ideal for use on boats, trucks, agricultural vehicles, motorhomes, buses etc. 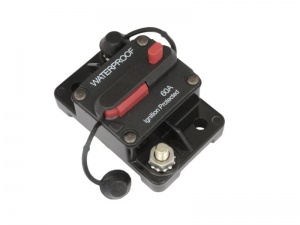 Voltage rating: 48V DC max.